This cafeteria-style restaurant serves New Orleans-inspired dishes. Seating is shaded, but outside. 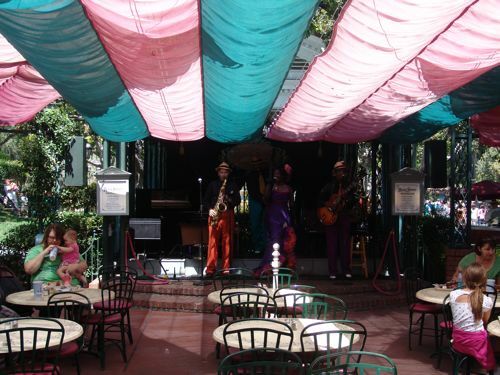 On the weekends, you might find a jazz band playing. There are currently 2 reviews for French Market Restaurant. Extra rating for the jazz band and fact that you can people watch and watch Rivers of America, but the food isn't something spectacular. I like the mashed potatoes a lot though! Read Full French Market Restaurant Reviews! 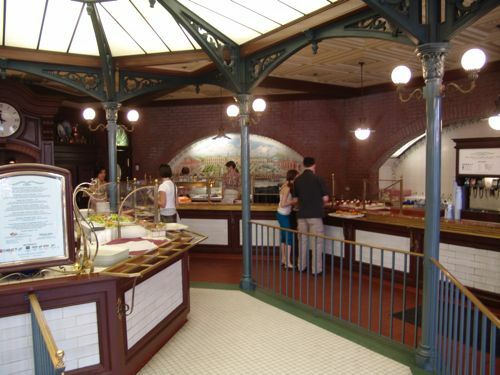 You can also search for French Market Restaurant specific threads! Campanelle Pasta with Marinara Sauce – $6.99Served with seasonal Fruit, vegetables and choice of small lowfat milk or small Dasani water.